« Do Electric Toothbrushes Clean Better Than Regular Toothbrushes? At our dental office in Wicker Park we take our patients’ comfort very seriously and are dedicated to keeping them calm and relaxed at every appointment. However, there are times when the noise of the drill is a bit too much (we get it! ), treatment is too long to stay comfortable, or a fear of the dentist causes extreme anxiety. When these situations arise, sedation dentistry may be recommended. 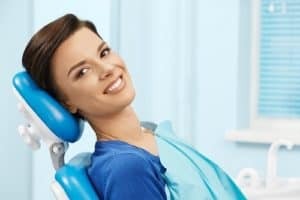 Achieving a calm, relaxed state with your Wicker Park dentist may be as easy as taking a tiny pill prior to an appointment. This type of sedation is referred to as minimal oral sedation and typically allows patients to stay awake and responsive, just a little bit drowsy. Moderate oral sedation is also an option. Still achieved by taking a pill, moderate sedation is usually a higher dose of the medicine but the effect is a deeper relaxation. Occasionally, patients tend to become so relaxed they may even fall asleep for a short time. If you or a family member has a fear of the dentist or the need for long, complex treatment and think sedation dentistry may help, we encourage you to schedule an appointment at our Wicker Park dental office. At this visit we will discuss all of the options available to you and recommend the best solution based on your individual needs.